I have recently started incorporating horsegram or kulthi in my diet. 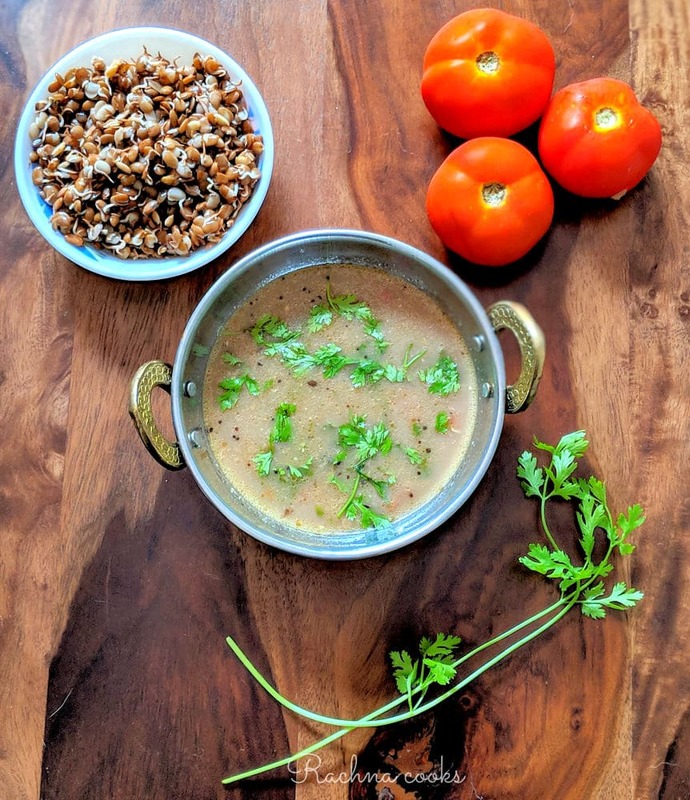 As a part of kollu recipes, I already shared the simple recipe of Kollu Soup or Horsegram soup earlier. 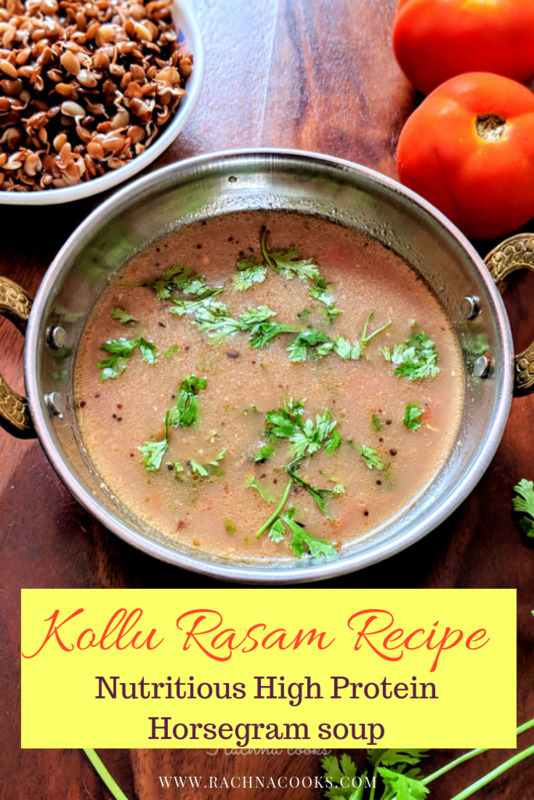 This is an easy kollu rasam or kollu soup recipe that is nutritious, tasty and really good for you. Do try it as a nice twist to a regular rasam. 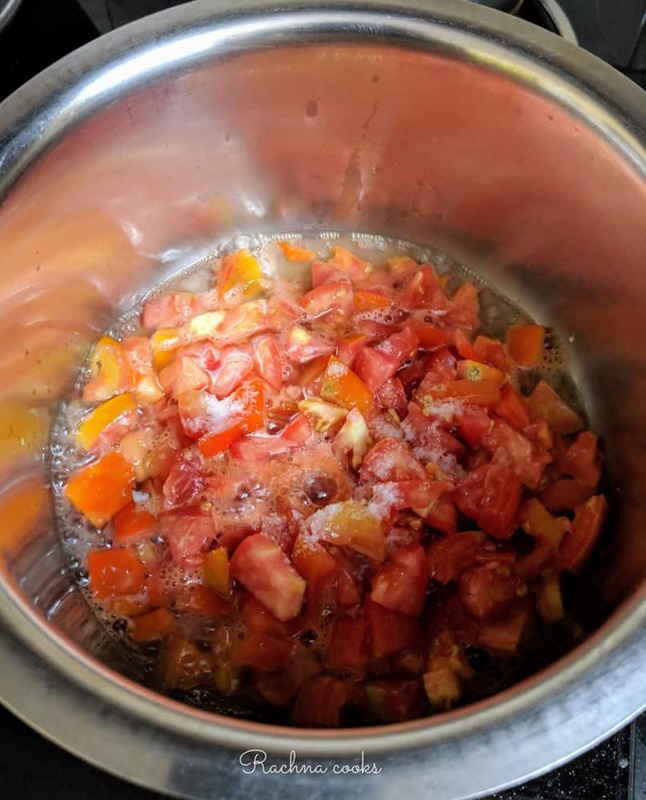 Cook finely chopped tomatoes with a little water and salt in a pan. Should take about 5 minutes to get squishy. Mash with the back of a ladle. Soak horsegram or kollu in water overnight. Now pressure cook with 2 cups of water till the horsegram is cooked. 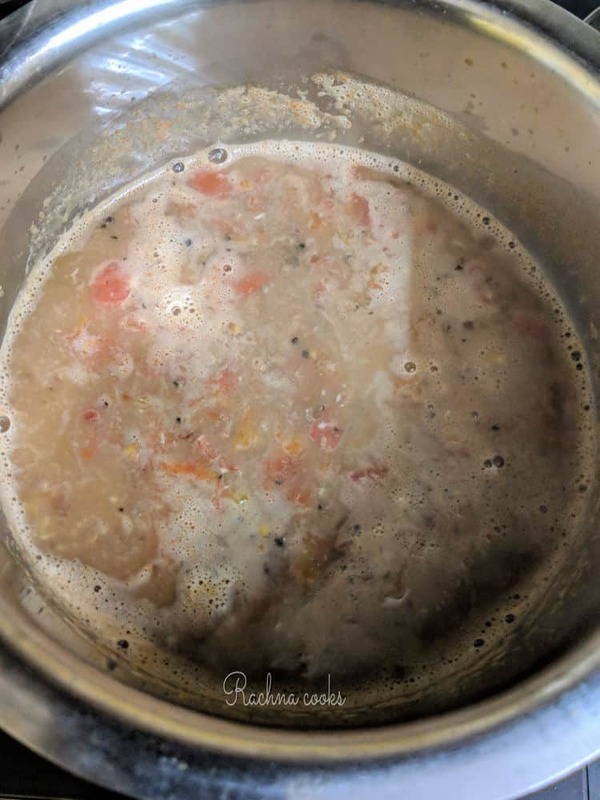 Strain the water to use in rasam. In a blender, blend together garlic, peppercorns and one ladle full of cooked kollu or horsegram. If you wish, you could blend the squished tomatoes here as well. Now put this back on the fire with 2 cups of strained kollu water. Add salt to taste along with cumin powder and cook out for 4-5 minutes. Add more water if the rasam feels thick. Now heat oil and add mustard seeds. Allow to sputter. Add the remaining ingredients and let them cook for a few seconds. Pour into the hot rasam. Garnish with coriander leaves and serve hot with rice. 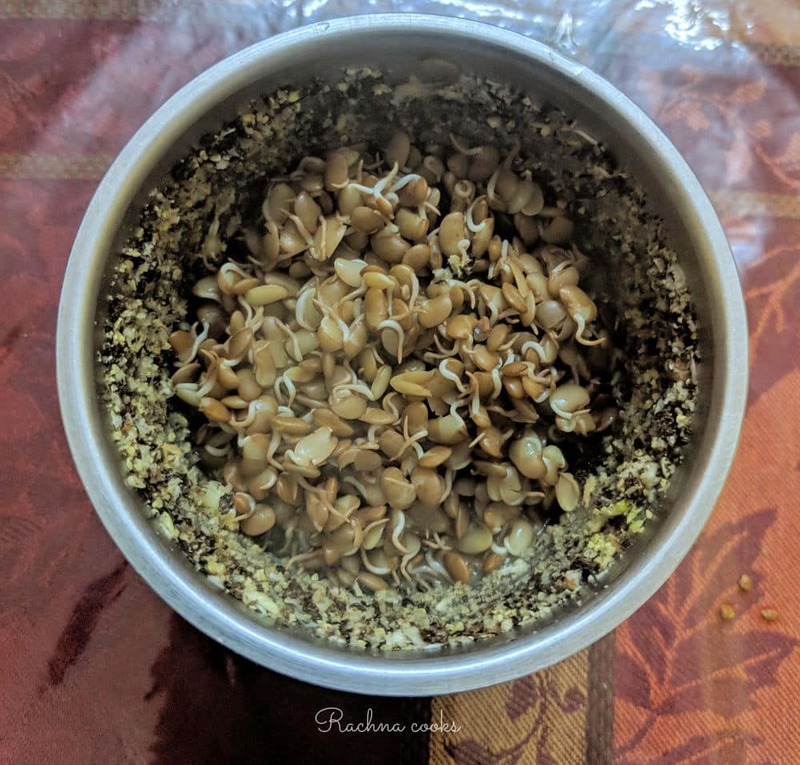 I like to sprout my kollu or horsegram. It ups the nutrition of the grain. I also make a simple stir fry of the boiled horsegram to go with the food. You may use one tbsp. of tamarind extract if you like your rasam to be more tart. I prefer the sourness from tomatoes. 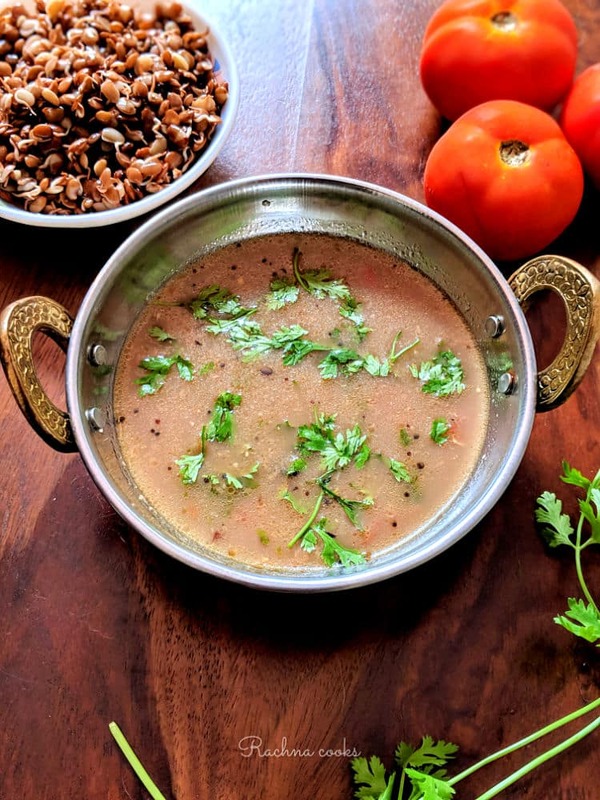 This is a tasty and very comforting rasam recipe that is also very good for you. Cook finely chopped tomatoes with a little water and salt in a pan. Now put this back on the fire with 2 cups of strained kollu water. Add salt to taste and cook out for 4-5 minutes. Temper and garnish with coriander leaves. Serves hot kollu rasam with boiled rice. 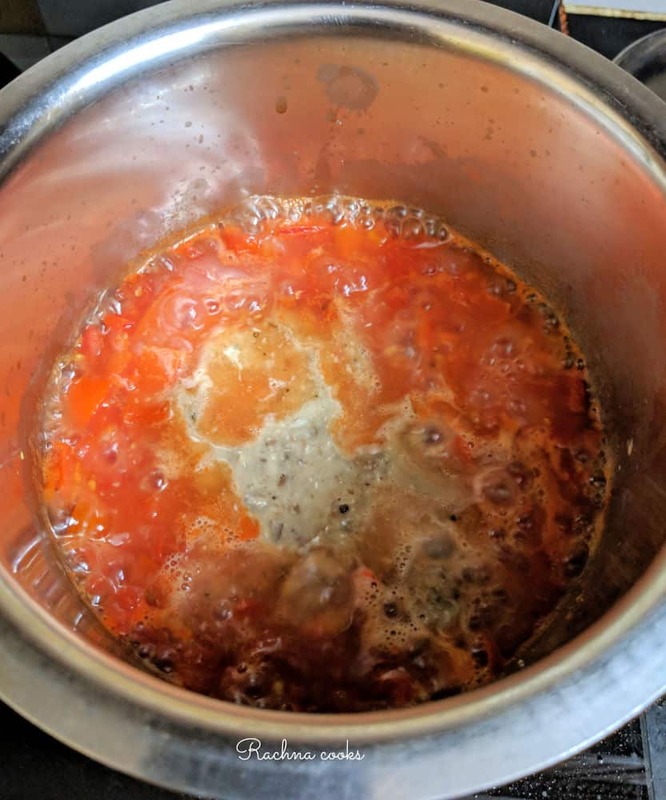 So this was the easy Kollu rasam recipe. Do try it. I am sure you will enjoy this variation of rasam with your food. I normally drink it like kollu soup. Did you like this recipe? If you did, please share with your friends. 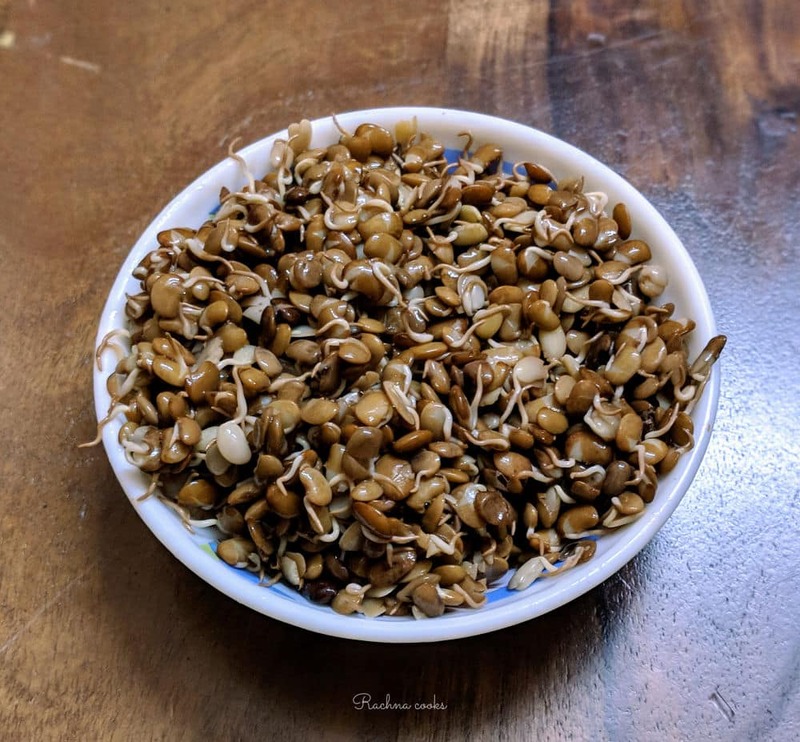 Horsegram is a favorite in my house , and it’s health benefits are many. 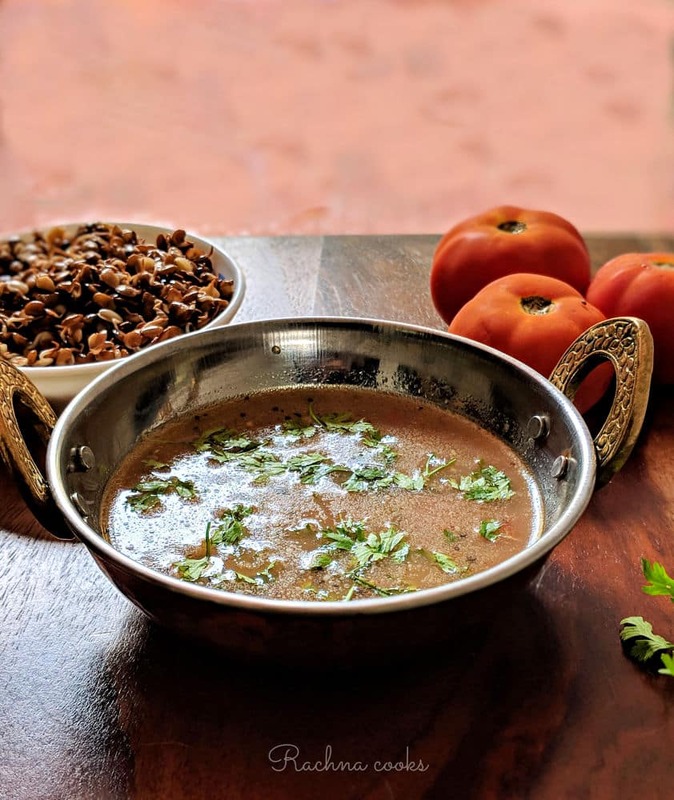 I had never heard of Horsegram Rasam, till I read your post. I think I will follow your simple recipe and give it a go. I love your food posts because your recipes are uncomplicated and quick to make.Thanks for sharing. I don’t think I have had horsegram before. Looks so delicious. You always prepare such healthy food ? That’s nice to know. Not too many people cook with it. I do hope you try this rasam recipe. I love kollu, I think it is a very delicious lentil! I love making a sabzi out of it with palak, it is super nutritious and delicious. Kollu rasam is so healthy and tasty. I follow the exact same recipe, except that I blend the tomatoes. Just cannot eat cooked tomatoes in any form.